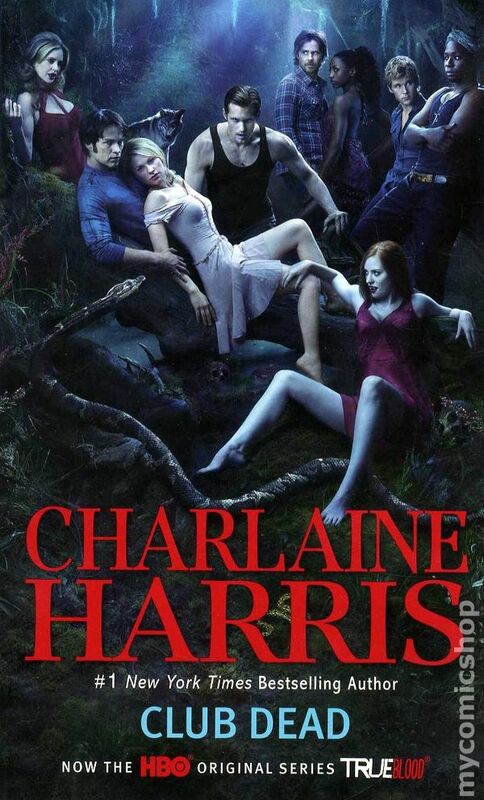 Club Dead is a romance/mystery/horror novel from 2003, the third in the Sookie Stackhouse series of novels by Charlaine Harris, which is the basis of the HBO show True Blood–this book was used very loosely as the basis for season 3 of the show. The first book in the series is Dead Until Dark, (reviewed here), and the second book was Living Dead in Dallas (reviewed here). Sookie’s vampire boyfriend Bill has been working on a project to the point of nearly total distraction. Now he has disappeared under mysterious circumstances and Sookie sets out to find out what happened to him. The clues lead to Jackson, Mississippi where it appears that Bill’s former lover and maker Lorena has summoned him (maker as in the one who turned him into a vampire). Clues seem to indicate that he is being held there against his will and their first stop is “Club Dead” the nickname for a major hangout for the supernatural in Jackson. Sookie enlists the help of Bill’s boss and local authority in the vampire hierarchy Eric Northman and newfound ally the werewolf Alcide Herveaux. Living Dead in Dallas is a romance/mystery/horror novel, the second in the Sookie Stackhouse series of novels by Charlaine Harris, which is the basis of the HBO show True Blood–this book was the basis for season 2 of the show. The first book in the series is Dead Until Dark, which I reviewed previously. In the previous book, Sookie met her first love–the vampire Bill Compton. She’s a telepath and her ability to read minds has proved disastrous to her love life, but she can’t hear vampire thoughts. They are together now, and he is teaching her new things about controlling her powers, as she learns more and more about the supernatural world. Sookie Stackhouse is a twenty-five-year-old waitress living in the small town of Bon Temps, Louisiana. She is also a telepath–she can hear people’s thoughts, whether she likes it or not. This has not been as useful as you might think, and has mostly served to make her a bit of an outcast. Among other things, she has found any semblance of a romantic life is impossible with this ability, since she can hear her date’s hidden thoughts, not great for a first-date kind of situation. Not too long ago, science perfected the production of synthetic blood. Designed as a medical product, its announcement had wider effects than anticipated, when vampires all over the world revealed themselves to be real. The synthetic blood allows them to survive without feeding on humans, and so many vampires have chosen this time to reveal themselves and integrate into human society. 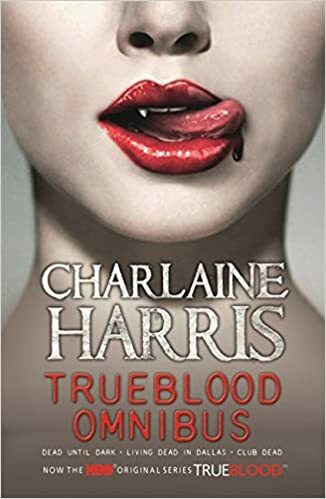 True Blood was an HBO horror/mystery/romance series based on the Sookie Stackhouse series of novels by Charlaine Harris. The series as a whole follows Sookie Stackhouse starting shortly after the major world event of vampires “coming out of the coffin”. Where, after a Japanese company perfects the production of synthetic blood branded Tru Blood, vampires reveal themselves to be real and begin to integrate with mainstream society. Sookie has always had mind-reading abilities which has made it difficult to keep a human relationship, so she is immediately drawn to the vampires which she can’t mindread. True Blood Season 6 ended with a world-changing event, the release of the bio-engineered Hepatitis V virus. Based on a mutation of the Hep-D virus, which only weakens a vampire for a time, Hep V is a much more contagious and much more deadly strain. Humans who contract the virus show no symptoms, but any vampire that drinks their blood will also catch the virus which causes extreme weakening and eventually the true death. It was originally spread using tainted Tru Blood so not only are vampires in danger from the virus, they also have lost their synthetic food source.